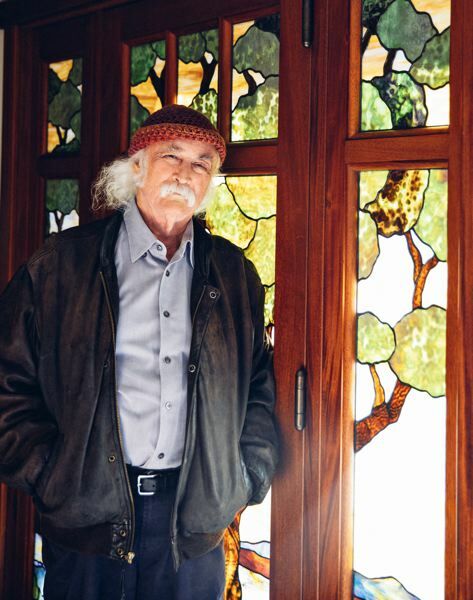 As a 1960s and '70s folk/rock musician and counterculture figurehead, David Crosby's credentials are pretty impeccable. He co-founded The Byrds, who delivered some of the most enduring hit singles of the '60s: "Mr. Tambourine Man," "Turn! Turn! Turn! (to Everything There is a Season)" and psych-rock milestone "Eight Miles High." He later helped form Crosby, Stills, Nash & Young — contributing anthems like "Long Time Gone," "Wooden Ships" and "Almost Cut My Hair" — a supergroup amalgam that ushered in the singer-songwriter era and a barrage of vocal harmony-based bands from America to the Eagles. He performed at the Monterey Pop Festival, Woodstock AND the infamous, ill-fated 1969 Altamont Speedway concert hosted by the Rolling Stones (and Hell's Angels). If that weren't enough, his archetypal "hippie" look — cascading brown hair, trademark walrus mustache and fringe-and-bead-adorned jacket — even inspired Dennis Hopper's iconic "Billy" character in "Easy Rider." With such a résumé, many 77-year-old musicians might rest easy knowing their mark on history is assured. This is clearly not the case with Crosby, who released his fourth album in five years less than a week ago. "I don't spend a lot of time looking back," he admits in a phone interview from his home near Santa Barbara, California. "I don't listen to the old music or pay attention to the old life, counting accomplishments. I'm really about what's going on now: What to do tomorrow, to do next week, or dreaming to do next year." Crosby, whose just-released "Here If You Listen" album is a collaboration with younger musicians Michael League, Michelle Willis and Becca Stevens, will perform a mix of old favorites and new tunes on Sunday, Nov. 4, at the Aladdin Theater in Southeast Portland. "Here If You Listen," continues the singer-songwriter-guitarist's unprecedented-for-him streak of recording productivity that started with the "Croz" album in 2014. While collaborative in nature, two subsequent discs, "Lighthouse" and "Skytrails," were billed as solo albums. This time, Crosby set out to fully share the wealth — creatively as well credit-wise. "This time, I said I don't want to do a solo record. I want to do a group record where we all write it and all sing it," he says of League, Willis and Stevens, collectively known as the Lighthouse Band. "They said, 'Are you sure?' I said 'Yeah' … They said 'OK' and jumped in with both feet." The intergenerational pact immediately hit paydirt. "We went into a studio in Brooklyn (New York) and came out with two songs, 'Your Own Ride' and 'Janet.' ... I've never done that before," he says. "I always insisted we have the songs (ready) before. In the next eight days, we wrote the whole record. We recorded and mixed it the next month. "It's some of the best work I've ever done." So how does a white-haired Woodstock veteran end up hanging with some of the more innovative young musicians on the jazzy end of the singer-songwriter spectrum? "Somebody turned me on to Snarky Puppy," he says of the band helmed by multi-instrumentalist League. "I loved them — the writing in particular. Somebody told them I was tweeting about the band, and they started talking back to me." Crosby hooked up with Snarky Puppy in New Orleans, which led to him meeting their friends Willis and Stevens. League ended up producing Crosby's "Lighthouse" album, released in 2016. Since then, he's worked in various combinations with that bunch, along with earlier collaborators including Jeff Pevar and James Raymond, Crosby's eldest son. Two songs from "Here If You Listen," — "1967" and "1974" — are previously unreleased and unfinished recordings from those respective years that the Lighthouse Band augmented and completed. "I'm very lucky," Crosby says of the synergy. "I work hard, try hard, am reasonably talented, but a lot of it is the incredible good fortune of the fine people I work with. The quality of the songs is way up there." 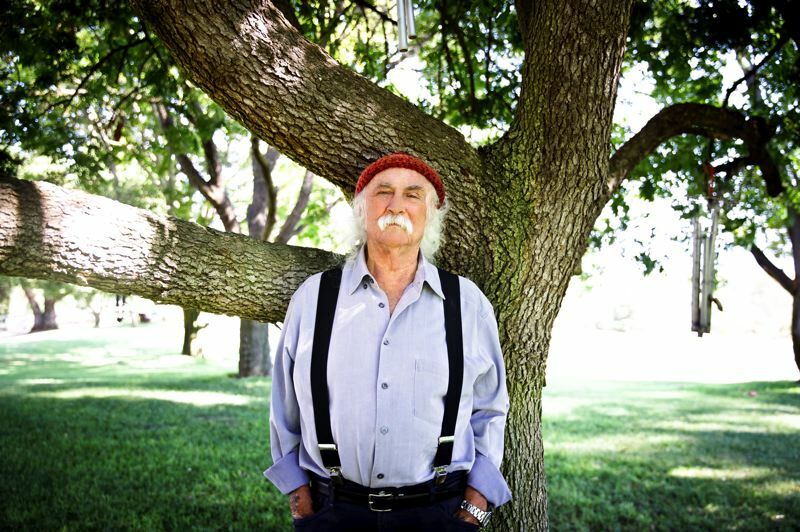 Crosby, whose "Long Time Gone," from the first Crosby, Stills and Nash album, was written in response to the 1968 assassinations of Robert Kennedy and Martin Luther King Jr., continues to address political and social issues in song. He laments, however, the dearth of modern protest songs with the immediacy of Neil Young's "Ohio." CSNY managed to get the provocative song on the AM airwaves within weeks of National Guardsmen gunning down four students at Kent State University in May 1970. But for all the 1960s tumult Crosby witnessed as a young, on-the-rise musician, today's headlines make him wonder how much the country's actually progressed in 50 years. "I think it's actually worse than it was then," he says, placing a fair amount of blame on the current president. "It's really bad, and we've got this (objectionable guy) in office pouring gasoline on the fire, making it as worse as he can." Crosby thought the country had turned a corner when Obama was elected president in 2008. "When you saw Barack Obama walk out on Inauguration Day, you felt like the U.S. might be growing up," he says. "I felt like, 'Oh, maybe we can get past the racism and other (BS), like women getting shortchanged since the world got started and constantly having the deck stacked against them.' Then (Donald Trump) shows up …"
Despite the productivity and critical acclaim surrounding his recent projects, Crosby can't entirely escape the question of where it all leaves, um, the old band. With Young joining occasionally, his 1968-launched collaboration with Stephen Stills and Graham Nash was a mainstay of the concert circuit for decades. Crosby's recent public and private spats involving Nash and Young, however, effectively derailed the group dynamic. "When you start out, you kind of love each other in bands and love each other in music," Crosby reflects. "Forty years later, it has devolved to the point of just turning on the smoke machine and playing the hits. That's not really the level I'm working for." For Crosby, who has expressed interest in a reunion — provided it includes the mercurial Young — it's less about holding grudges and more about moving forward and making hay while the sun shines. "CSN did a lot of good work. I have no bad feelings about them at all," he says. "But I have to be making music right now. I can't be waiting around for anybody to work anything else out. "However much time I've got," he adds, "I have to be doing it now." 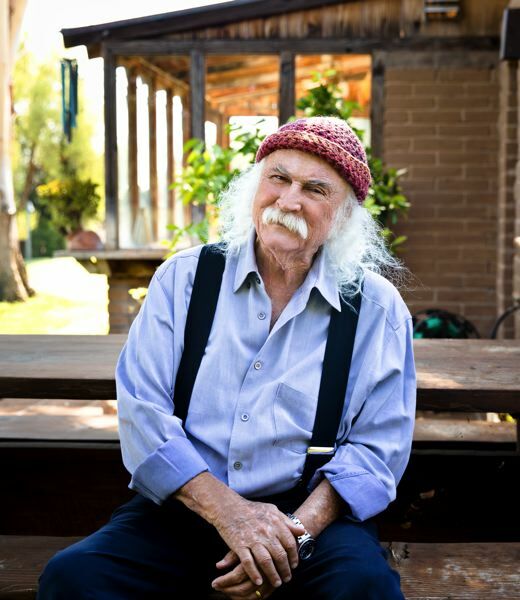 "An Evening with David Crosby & Friends" takes place at 8 p.m. Sunday, Nov. 4, at Aladdin Theater, 3017 S.E. Milwaukie Ave. Tickets are $65-$85. For information, visit aladdin-theater.com.